>Load ’em up and move ’em out! 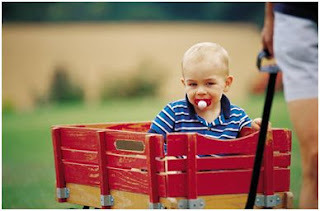 Give someone a wagon ride. Don’t have anyone you can pull? How about stuffed animals? Make this a family activity: The whole family can take turns. Can anyone pull dad? This activity promotes physical activity and cooperating with others.